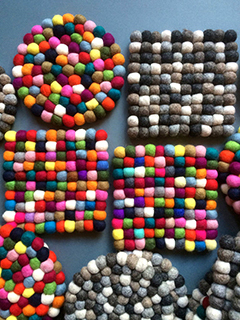 These are 2cm thick, and as wool is naturally heatproof they are ideal as placemats or trivets. Wool is also stain resistant so we recommend a cold hand wash to maintain their natural lanolin. Alternatively you could dry-clean them.